Harrison Ford and Calista Flockhart at the California premiere of "Extraordinary Measures." 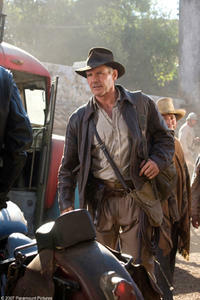 Harrison Ford is back as Indiana Jones in "Indiana Jones and the Kingdom of the Crystal Skull." Ray Winstone, Shia LaBeouf, and Harrison Ford in "Indiana Jones and the Kingdom of the Crystal Skull". Harrison Ford in "Morning Glory"
Harrison Ford at the Michigan Avenue Magazine Hosts Cover Star Harrison Ford in Chicago. Harrison Ford, Keri Russell and Brendan Fraser at the after party of the California premiere of "Extraordinary Measures." 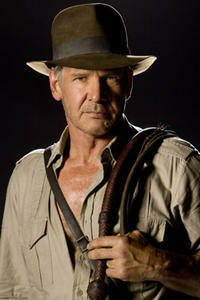 Harrison Ford in "Indiana Jones and the Kingdom of the Crystal Skull." 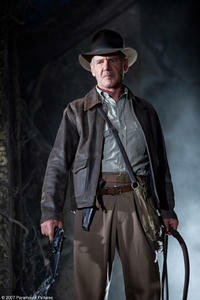 Harrison Ford stars as Indiana Jones in "Indiana Jones and the Kingdom of the Crystal Skull." 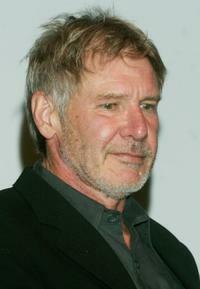 Harrison Ford at the California premiere of "Extraordinary Measures." 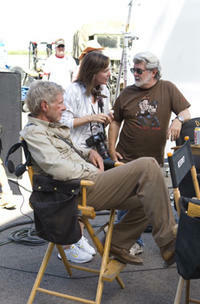 Harrison Ford as Col. Woodrow Dolarhyde in "Cowboys and Aliens"
Harrison Ford and executive producers Kathleen Kennedy and George Lucas on the set of "Indiana Jones and the Kingdom of the Crystal Skull." 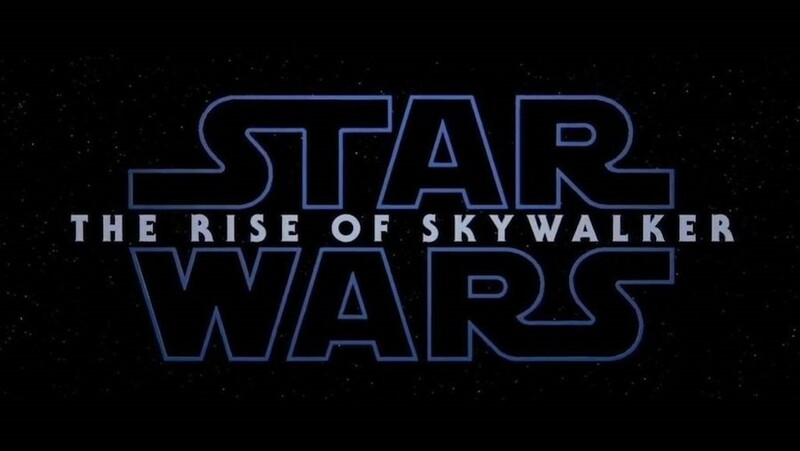 Harrison Ford and Shia LaBeouf in "Indiana Jones and the Kingdom of the Crystal Skull." 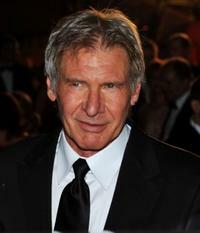 Harrison Ford at the premiere of "Indiana Jones and the Kingdom of the Crystal Skull" during the 61st International Cannes Film Festival. Harrison Ford in "Ender's Game." Pierce Brosnan and Harrison Ford at the 34th AFI Life Achievement Award. Harrison Ford and Calista Flockhart at the Sydney press conference of "Firewall." 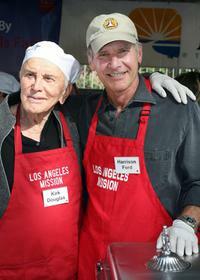 Harrison Ford and Kirk Douglas at thanksgiving lunch for homeless. Harrison Ford, Portia De Rossi and Ellen DeGeneres at the Heaven: Celebrating 10 Years, benefiting The Art Elysium. 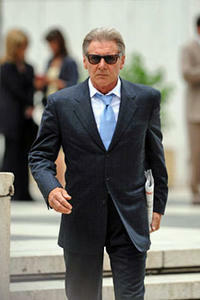 Harrison Ford at the 59th Venice Film festival. Harrison Ford and Calista Flockhart at the 34th AFI Life Achievement Award. 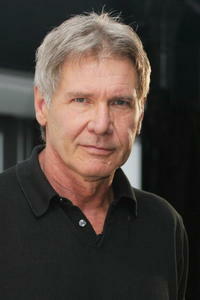 Harrison Ford at the photocall of "What Lies Beneath" during the 26th US film festival. 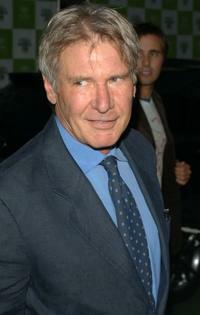 Harrison Ford at Rome's Villa Giulia for a party organized by Vanity Fair. 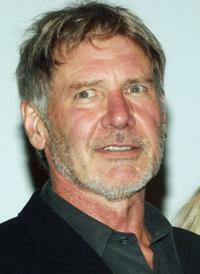 Harrison Ford at the Hollywood premiere of "Firewall." Harrison Ford in "Morning Glory." 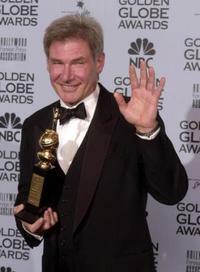 Harrison Ford at the 63rd Annual Golden Globe Awards. Harrison Ford and Calista Flockhart at Jules Verne Adventure Film Festival and Exposition launch event. 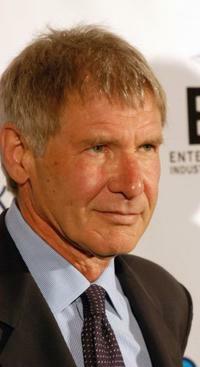 Harrison Ford at the 15th Annual Environmental Media Awards. 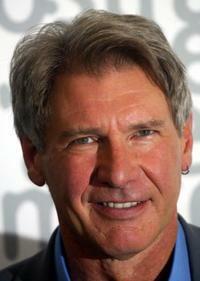 Harrison Ford at the Sydney press conference of "Firewall."  Harrison Ford and Calista Flockhart at the Hollywood premiere of "Firewall." 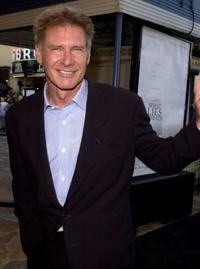 Harrison Ford at the premiere of "What Lies Beneath." Harrison Ford and Calista Flockhart at the Los Angeles Commission on Assaults Against Women's 34th Annual Humanitarian Awards. 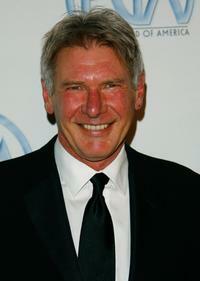 Harrison Ford at the 16th Annual Elton John AIDS Foundation Academy Awards viewing party. 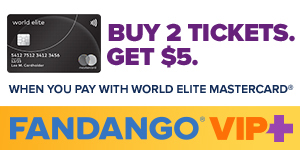 Harrison Ford and Calista Flockhart at the G'DAY USA Australia.com Black Tie Gala. 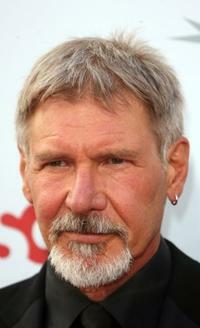 Harrison Ford as Colonel Dolarhyde in "Cowboys & Aliens." 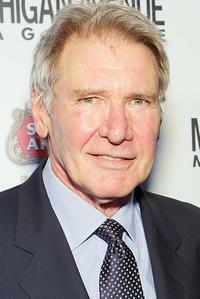 Harrison Ford at a Celebration Of Music In Film "Movies Rock". 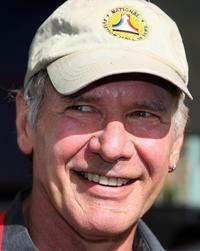 Harrison Ford serving a thanksgiving lunch for homeless. 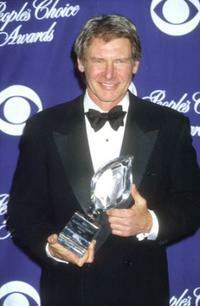 Harrison Ford at the 26th Annual People's Choice Awards. Calista Flockhart and Harrison Ford at the 16th Annual Elton John AIDS Foundation Academy Awards viewing party. Daniel Craig as Zeke Jackson and Harrison Ford as Colonel Dolarhyde in "Cowboys & Aliens." 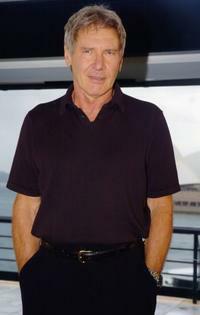 Harrison Ford at Spike TV's Scream 2007. 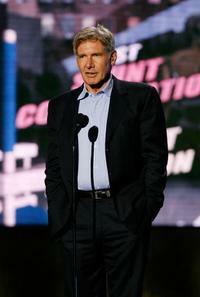 Harrison Ford at the 7th Annual Taurus World Stunt Awards. 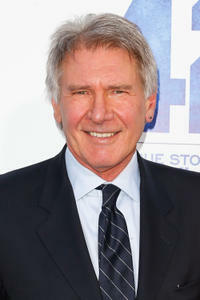 Harrison Ford at the GQ Magazine party celebrating the March issue of the "Leading Men in Hollywood." 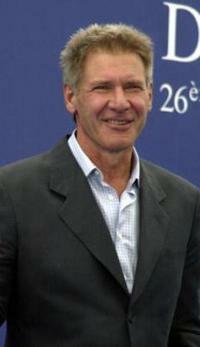 Harrison Ford at the 2006 Tower Award during the Russian Nights Film Festival. 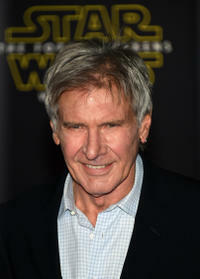 Harrison Ford at the Los Angeles premiere of "K-19: The Widowmaker." Harrison Ford and Josh Duhamel at a Celebration Of Music In Film "Movies Rock". Sean Connery and Harrison Ford at the 34th AFI Life Achievement Award. 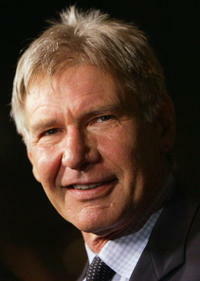 Harrison Ford during a press conference at the first edition of Rome Film Festival. 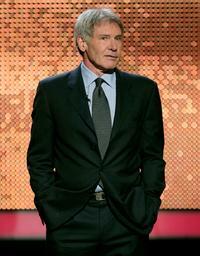 Harrison Ford at "A Love Story...Finding A Cure" gala tribute to former First Lady Nancy Reagan. Harrison Ford and Calista Flockhart at the Heaven: Celebrating 10 Years, benefiting The Art Elysium. Angelina Jolie and Harrison Ford at the Los Angeles premiere of "Hotel Rwanda." Calista Flockhart and Harrison Ford at the 34th AFI Life Achievement Award. 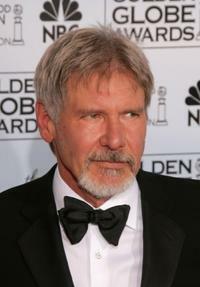 Harrison Ford at the 59th Annual Golden Globe Awards. 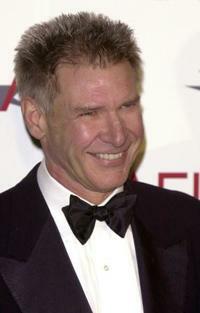 Harrison Ford at the American Film Institute's Award. Harrison Ford and Calsita Flockhar at "A Love Story...Finding A Cure" gala tribute to former First Lady Nancy Reagan. 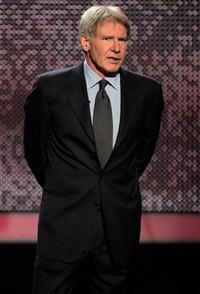 Harrison Ford at the Los Angeles Commission on Assaults Against Women's 34th Annual Humanitarian Awards. 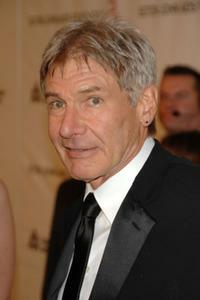 Harrison Ford at the 34th AFI Life Achievement Award. Harrison Ford and Calista Flockhart at the 59th Venice Film festival. 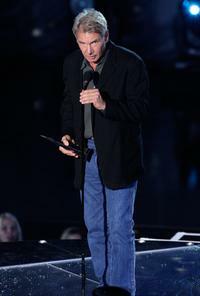 Harrison Ford as he accepts the Hero Award during Spike TV's Scream 2007. Harrison Ford and Calista Flockhart at 18th Annual Producer Guild Awards. 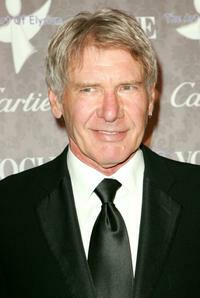 Harrison Ford at 18th Annual Producer Guild Awards. 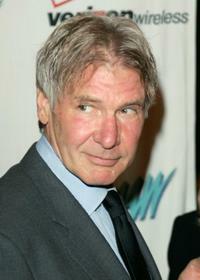 Harrison Ford at the Heaven: Celebrating 10 Years, benefiting The Art Elysium. 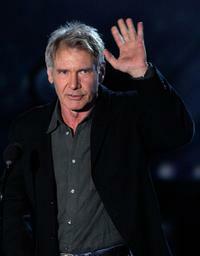 Harrison Ford presents award to Gary Powell at the 7th Annual Taurus World Stunt Awards. 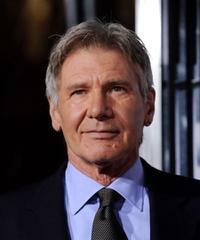 Harrison Ford at the California premiere of "Star Wars: The Force Awakens." 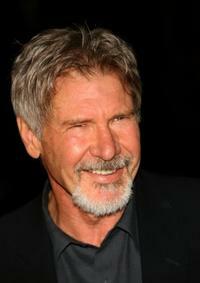 Harrison Ford at the California premiere of "42."